Purchase to earn 32 Points! These Power and Wellness Bloodstone Pendants are strong medicine; they bolster both physical wellness and personal power. If you’re cultivating deep health, these pendants are exactly what you want. 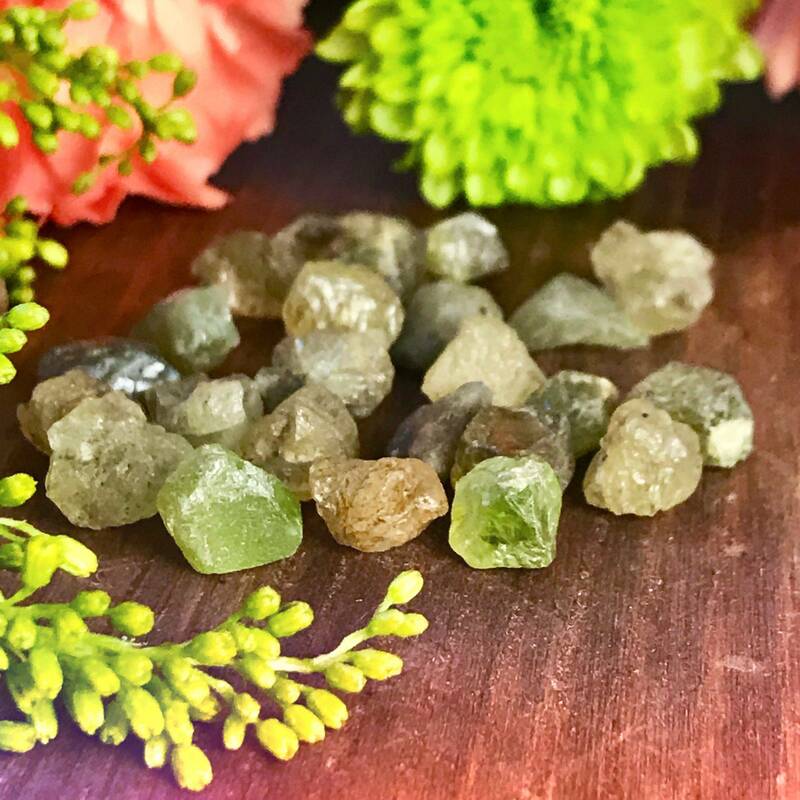 These stones are open on all sides, and, when worn, will directly touch your skin, infusing you with bloodstone’s powerful vibrations. 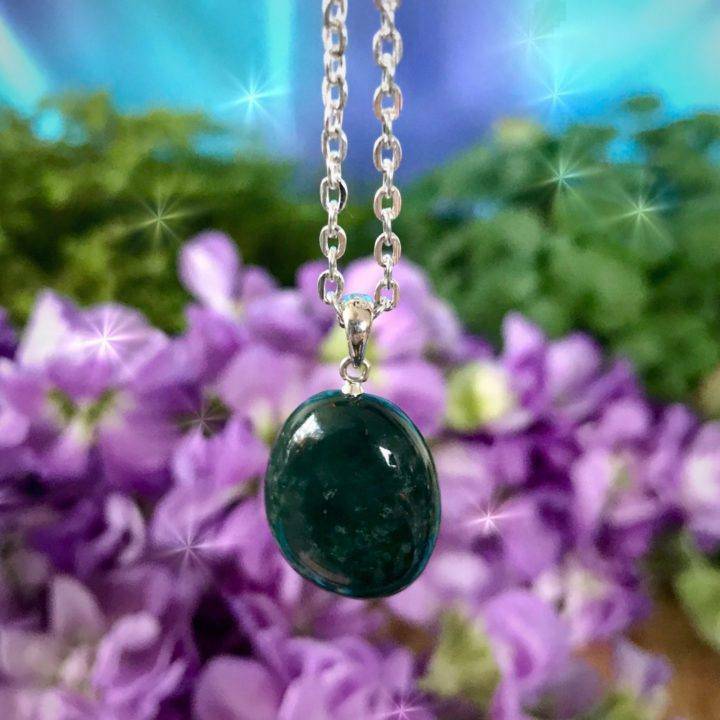 Each one is set in sterling silver, and silver has its own metaphysical properties, which enhance the inherent power of these Power and Wellness Bloodstone Pendants. Bloodstone has amazing curative properties. 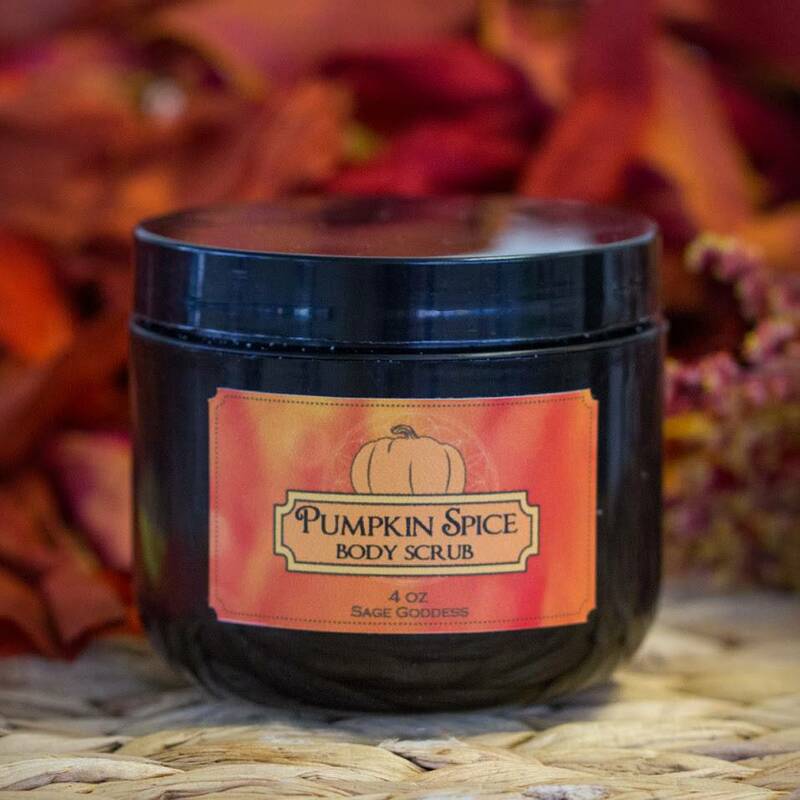 This gem soothes aching muscles and helps to heal injuries. True to its name, bloodstone increases circulation and supports healthy blood pressure. In times of frailty or fear, bloodstone brings tenacity and strength. Bloodstone lends confidence in the face of challenges, lights the fire of courage within, and brings closure and healing to emotional situations. Let bloodstone be your ally in difficult times. 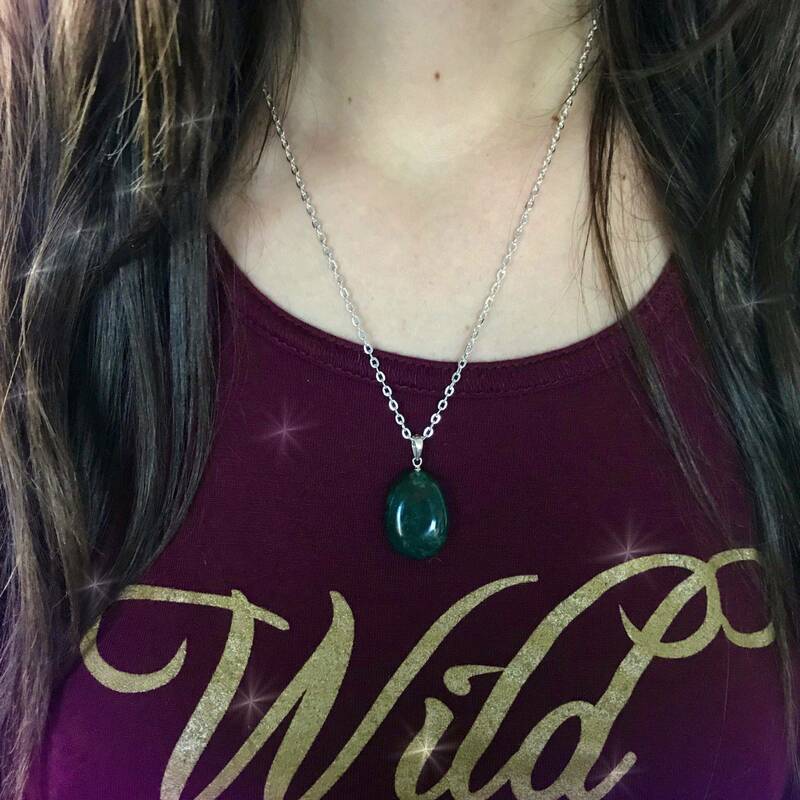 Envision the healing light of the Red Ray surrounding you as you wear your Power and Wellness Bloodstone Pendant, nurturing you with its essence of healing. These Power and Wellness Bloodstone Pendants are set in sterling silver, which has alchemical properties all its own. Silver is said to be the ruler of intuition, inner wisdom, and self-reflection, and it awakens the divine feminine energy within. It also assists you in transcending doubts and acknowledging your truth. Silver is a superb mineral for divination. 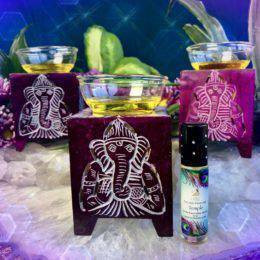 It allows you to transcend into higher states of consciousness, bringing you health, clarity, awareness, heightened intuition, luck, and wealth. It encourages you to stay focused and emotionally balanced. 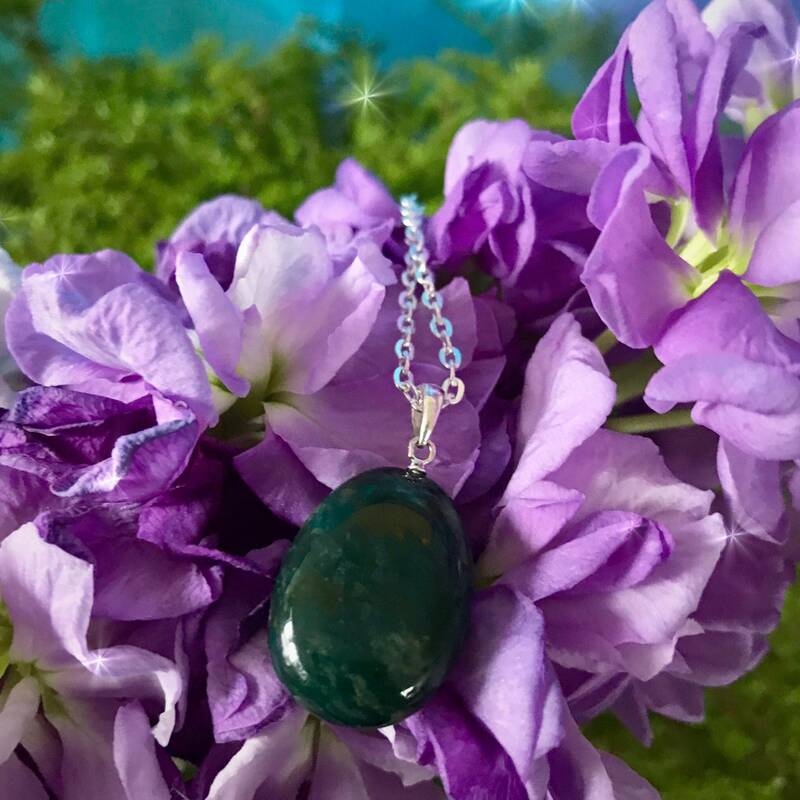 This listing is for one (1) Power and Wellness Bloodstone Pendant (about 1″ in size), strung on a silvery chain and ready to wear. Yours will arrive lovingly parceled along with a single leaf of white sage and a card describing the properties of the stone.